Over the past 30 years, many drying technologies in China have been industrialized, mainly spray drying, fluidized drying (ordinary fluidized bed, vibrating fluidized bed, internally heated fluidized bed, fluidized bed spray drying), steam rotary drying, airstream drying, rotary cylinder drying, rotary quick drying, disc drying, belt drying. Drying, double cone rotary vacuum drying, blade drying, freeze drying, microwave and far infrared drying, grain drying, etc. Conventional drying equipment can basically meet the production needs, some models have reached the international contemporary level and exported to foreign countries. The importance of drying unit is not only that it has a great impact on the efficiency and total energy consumption of product production process, but also that it is often the last process of production process. The quality of operation directly affects product quality, thereby affecting market competitiveness and economic benefits. There are many products in our country, which have reached or even surpassed foreign products in terms of purity, just because drying technology is not as good as that of foreign countries, the physical properties such as bulk density, particle size, color and so on are not up to standard, and they are at a disadvantage in the international market competition, some of which are sold for only one third of the same kind of products abroad. At present, some large petrochemical drying equipment in China also rely on imports. It is estimated that the type of drying equipment produced in our country is only 30% to 40% of that abroad. It can be seen that the research of drying technology in China is still a long way to go. Freeze-dried products can maintain their original shape, keep their original color, flavor and nutrients, and have a long shelf life. Therefore, they are widely used in drying fruits and vegetables, condiments, sugar, solid beverages, bovine colostrums, instant foods and essence. Food freeze-drying equipment appeared in Denmark in 1943. Up to now, almost all developed countries have produced freeze-drying machines for food. In terms of freeze-drying area, there are experimental freeze-dryers as small as 0.1 m2 and production freeze-dryers as large as 200 m2; from the shape of freeze-drying box, there are square, circular and tunnel type; from the degree of automation, they can be manual, semi-automatic and fully automatic; from the working mode, there are intermittent, semi-continuous and continuous; from the freeze-drying mode, there are freeze-drying. Type I and freeze-drying separated type, freeze-drying combined type can be divided into direct cooling and direct heating type, direct cooling and inter-heating type, inter-cooling and direct heating type and inter-cooling and inter-heating type. Food freeze-drying equipment manufacturers in the world are more influential Danish Atlas Company and Japan Republican Vacuum Company. The first freeze-drying machine was designed by engineer of Ge Xue Xu, Shanghai, in 1951. In the past 20 years, the development was slow, and the development began in 80s. 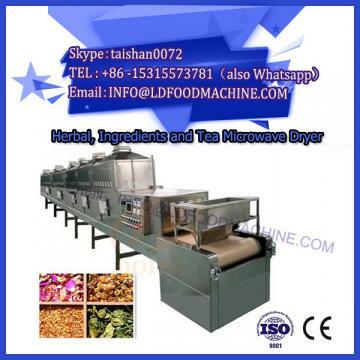 At present, the performance index of domestic food freeze-dryer can completely reach the level of international similar products, and the price is only 1/2-1/4 of the imported equipment. 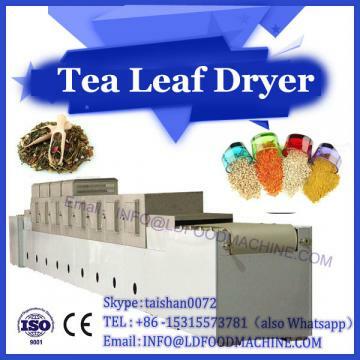 The development direction of food freeze-drying technology is to improve product quality and reduce product cost. The research direction of freeze-drying technology should be to establish the best freeze-drying technology and to seek the inspection method of freeze-drying product quality. The research of freeze-drying theory includes three parts: theoretical research on heat and mass transfer of freeze-dried materials in the process of pre-freezing and drying; theoretical research on unsteady temperature field and rarefied gas flow in freeze-dryer; liquid-solid phase change of moisture in materials during pre-freezing, solid-vapor phase change of moisture in materials during drying, and water in water catcher. Theoretical study of vapor solid phase transition of vapor. Fruit and vegetable drying technology is a very active research direction. Fruits and vegetables can be dried by dehydration, which can increase the concentration of soluble substances in raw materials, hinder the reproduction of microorganisms and inhibit the activity of enzymes in vegetables, so that dehydrated vegetables can be preserved at room temperature for a long time, and easy to transport and carry. 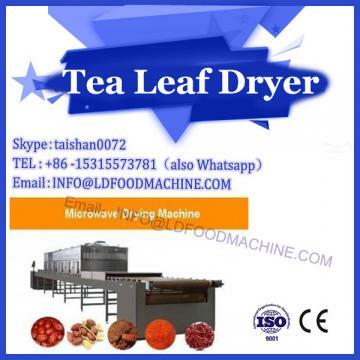 Fruits and vegetables can be dried by atmospheric hot air (such as mesh belt dryer), vacuum freeze-drying, microwave drying, far-infrared drying, osmotic drying and superheated steam drying. In recent years, the newly developed drying equipment includes jet pump vacuum freeze-drying equipment, vacuum fried fruit and vegetable chips equipment, nitrogen dryer, solar energy drying equipment, microwave vacuum dryer, vibration fluidized bed dryer, etc. At present, the main drying equipment for fruit and vegetable production in China generally has some defects, such as slow drying speed, high energy consumption, high cost, poor product rehydration performance and low quality preservation rate, which leads to the price decline of fruit and vegetable products in the international market and the severe situation that the domestic market can not open the market. First, there is a lack of research on the rehydration performance of various dehydrated fruits and vegetables, and a lack of understanding of the commonly used means to improve the rehydration of some dry products. Two, the ability to choose suitable means of drying is weak. In recent years, we have overstated the advantages of a certain drying method and ignored the trend of its shortcomings. For example, the advantages of freeze-dried products are emphasized, while the disadvantages of moisture absorption, fragility, large equipment investment and high operating costs are neglected.